Does Caffeine Cause Insulin Release? 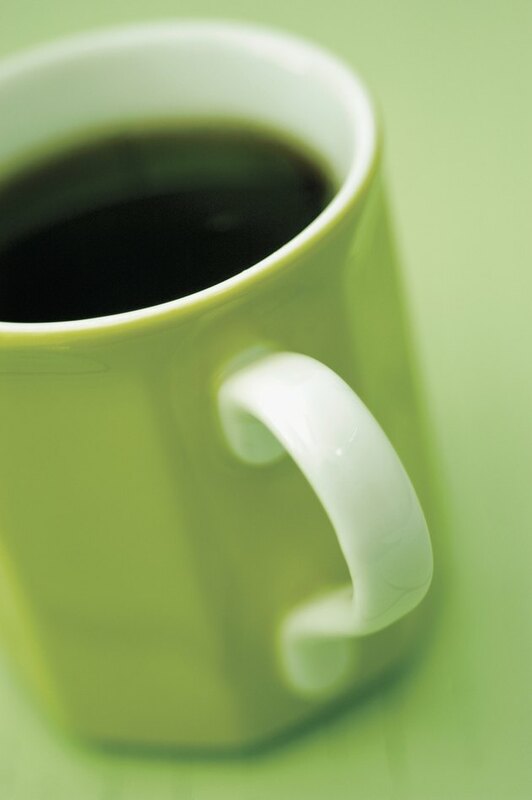 Nearly 90 percent of Americans consume caffeine, with the principal source being coffee. Chronic coffee consumption has been linked to a substantially lower risk for type 2 diabetes, particularly if you drink five or more cups daily. In contrast, consumption of caffeine alone is associated with an increase in your blood glucose level and a reduced sensitivity to the insulin released from your pancreas. Thus, caffeine alone does not appear to be responsible for coffee's benefits. Insulin is a hormone produced by specialized beta cells in your pancreas. Under normal circumstances, insulin is released into your bloodstream whenever your blood glucose level rises, which typically occurs following a meal. Insulin stimulates the cells in your liver, muscles and fat tissue to absorb glucose, thereby lowering your blood glucose level. A study published in the July 2004 issue of "The American Journal of Clinical Nutrition" showed that caffeine does not directly affect beta cell secretion, but it probably enhances insulin secretion indirectly by increasing your body's resistance to insulin. Insulin resistance is a condition that occurs when your cells do not respond normally to the insulin secreted by your pancreas. Insulin-resistant cells don't absorb glucose as readily as they should, which prevents your blood glucose level from falling as rapidly as it usually would after a meal. Persistently elevated blood glucose levels prompt your pancreas to release even more insulin, leading to abnormally high serum insulin levels. Insulin resistance is a hallmark of type 2 diabetes and metabolic syndrome, a disorder that often precedes diabetes. In 2008, scientists at Canada's University of Guelph demonstrated that caffeinated coffee and decaffeinated coffee exerted different effects on glucose metabolism in healthy men. Caffeinated coffee triggered higher blood glucose levels, higher insulin levels and more pronounced insulin resistance than decaffeinated coffee, at least in the short term. This study's authors suggested that the apparent paradox between coffee's anti-diabetic effects and caffeine's pro-diabetic activity could be explained by one or more of the other 600 compounds found in coffee. Although caffeine increases pancreatic insulin release, it does not appear to do so by directly stimulating your pancreatic beta cells. Rather, it increases your insulin resistance, which prompts the release of more insulin to compensate for poor glucose metabolism. Most studies evaluating this effect have only considered caffeine's short-term effects, but many investigators agree that caffeine is not responsible for coffee's long-term health benefits. If you have diabetes or another condition that affects your ability to metabolize glucose, adopt a low-sugar diet and consider switching to decaffeinated coffee. What Are the Health Benefits of Drinking Decaffeinated Coffee?